Out with the old, in with the new (kind of). 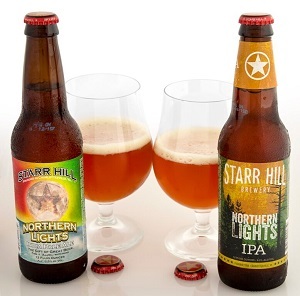 With the growth of the IPA category and a shift in consumer preference, Starr Hill decided it was time to update its 2007 flagship, Northern Lights IPA. The original version offers soft spruce and pine with some faint lemon zest intertwined on the nose. It is medium-bodied with hints of light biscuit, providing room for the muted passion fruit and peach notes from its hop additions. apparent out of the gate. The beer is slightly cloudier, offering up more of a spicy, dank aroma. more complex offering while maintaining the soul of the original beer. Read more about breweries changing IPA recipes in the September issue of All About Beer Magazine. Adam Harold is the Director of Beer Programs for All About Beer Magazine.